Handwriting practice has diminished significantly over the several decades. Recently, more and more research indicates the importance of handwriting skills for literacy, working memory, orthographic processing and more. The Journal of Educational Psychology published research on the importance of handwriting for writing. Handwriting is very different from writing. In general, the act of handwriting involves forming legible letters with proper spacing in a reasonable amount of time. Whereas the act of writing requires you to communicate the ideas in your brain onto paper or a computer. Both tasks work hand in hand (no pun intended) to formulate and express your thoughts and ideas. 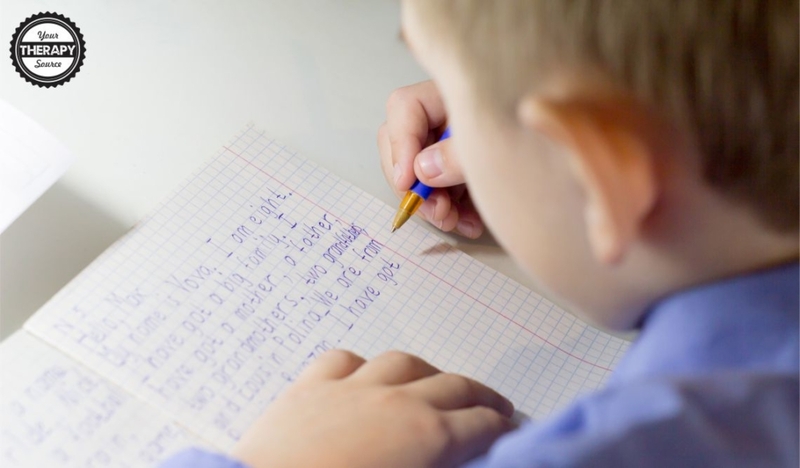 The recent study on the importance of handwriting for writing included first-grade children who were identified as having handwriting and writing difficulties. The children in the experimental group participated in 27 fifteen minute sessions that focused on improving the accuracy and fluency of their handwriting. The control group received instruction in phonological awareness. students in the handwriting condition made greater gains when compared to the control group in handwriting as well as compositional fluency immediately following instruction. the gains were still present 6 months later. the effects of instruction were similar for students with and without an identified disability. Reference: Graham, S., Harris, K. R., & Fink, B. (2000). Is handwriting causally related to learning to write? Treatment of handwriting problems in beginning writers. Journal of Educational Psychology, 92(4), 620-633. 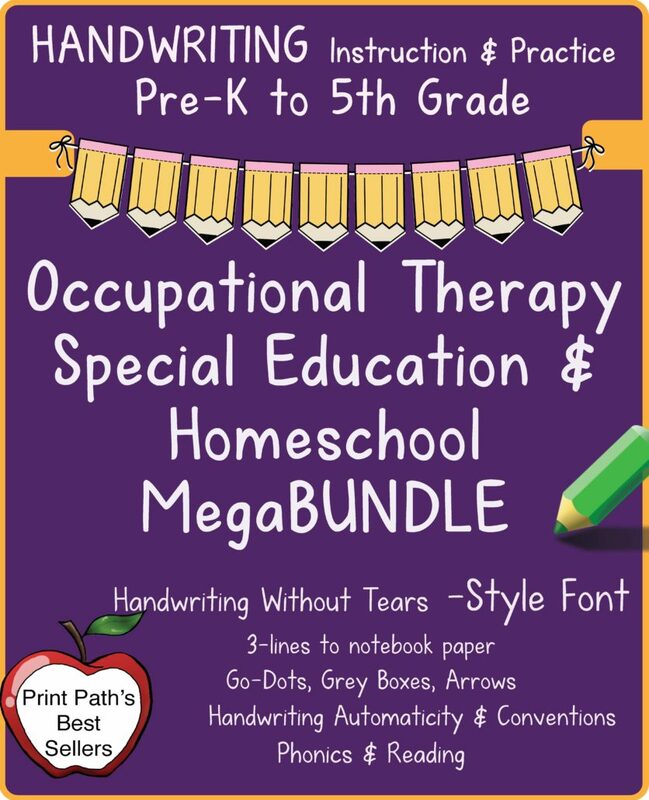 This Handwriting Bundle for PreK-5th Graders is created by school-based Occupational Therapist, Thia Triggs of Print Path. This Handwriting Without Tears© -style letter font, uses 3-lines to best support your students. There are Go-Dots, Gray-Boxes, and Simple Arrows that inform rather than confuse learners. Best practices include research-based methods incorporating application of developmental and motor learning theories to benefit your struggling learners. Do you receive referral after referral for students with handwriting concerns? 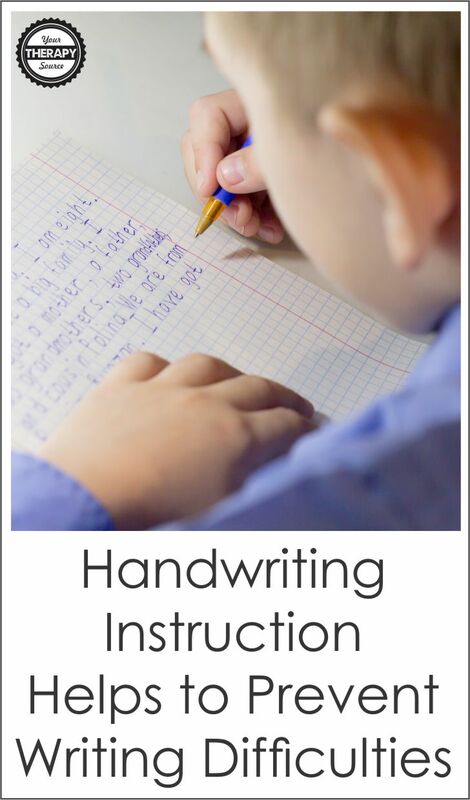 Are the teachers you work with feeling frustrated and overwhelmed with so little time to offer handwriting practice? 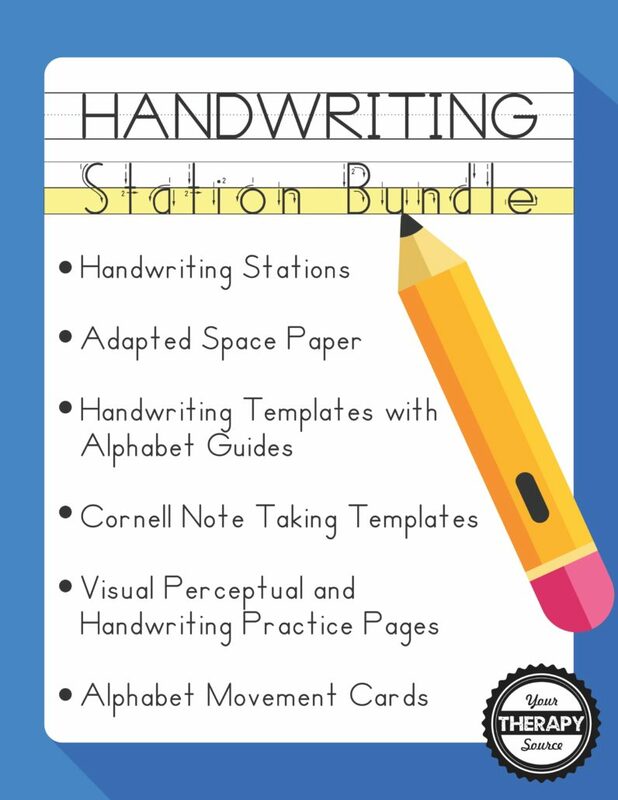 This Handwriting Station Bundle Deal will save you TONS of time with these NO-PREP activities that encourage handwriting practice for your students. Set up a handwriting station in the classroom or at home so students can practice handwriting throughout the day in the classroom. Great for early finishers!